God has given parents the responsibility of nurturing their children. St. Peter Lutheran preschool exists to encourage and assist parents in this wonderful responsibility. We offer a Christ-centered education which not only builds a foundation of faith but equips the children with the social skills and academic abilities necessary for kindergarten and beyond. “God wants all people to be saved and to come to a knowledge of the truth” (1 Timothy 2:4). 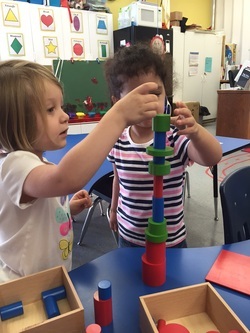 St. Peter Lutheran Preschool welcomes students of any race, color, national or ethnic origin to all the rights, privileges, and activities generally accorded or made available to students at the preschool. It does not discriminate on the basis of race, color, national or ethnic origin in administration of its educational policies, admission policies, and other preschool programs.